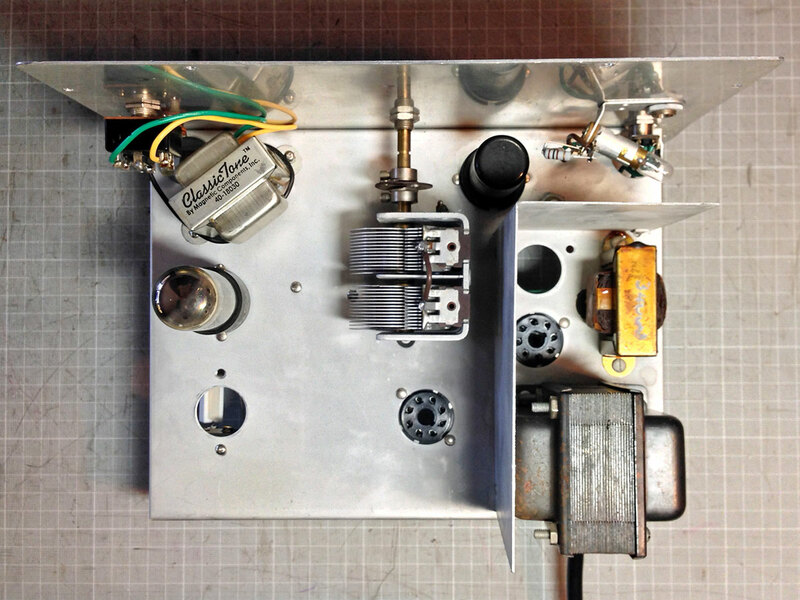 Check out this repurposed 1950s sine-wave generator! 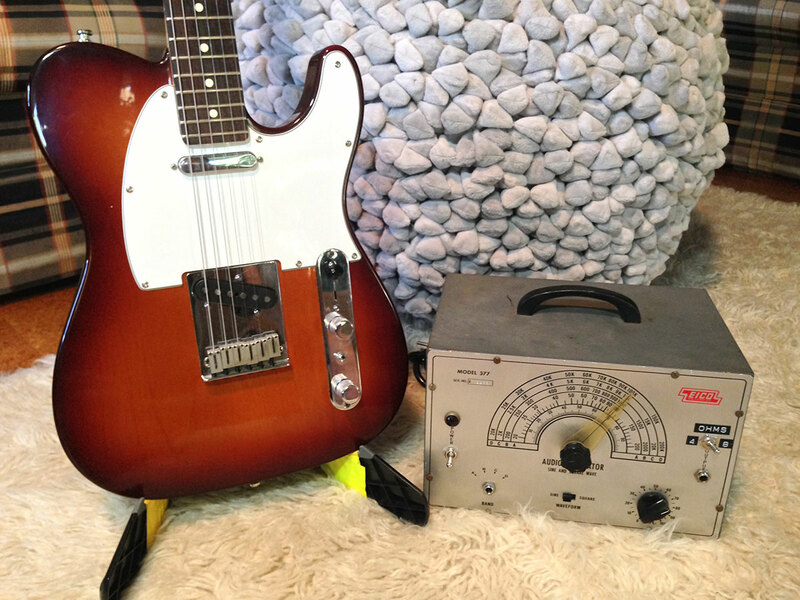 It now proudly houses a souped-up tweed-style, singled-ended, three-watt guitar amplifier. 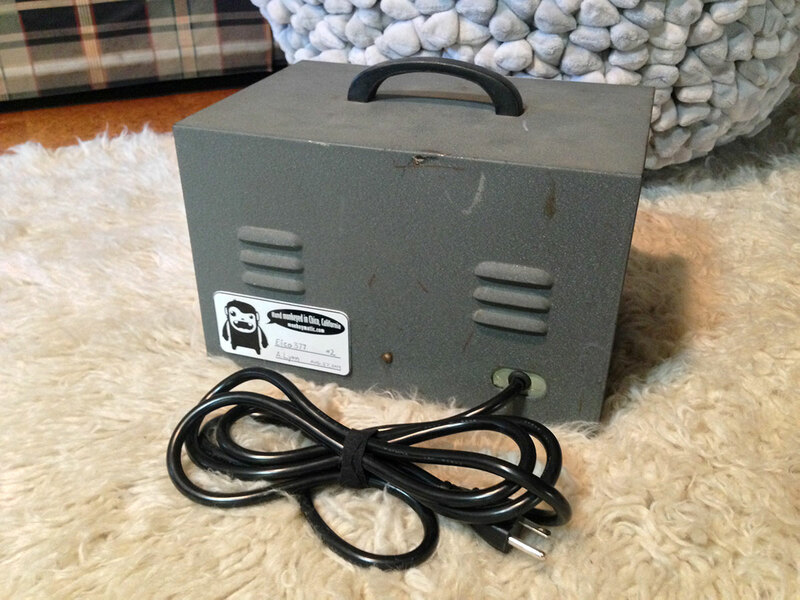 Controls include a sweepable bright control, a cathode-bypass boost switch, and a volume control. This is the perfect practice or recording amp–dime the volume, and you get a lovely tube saturation, without rattling windows. 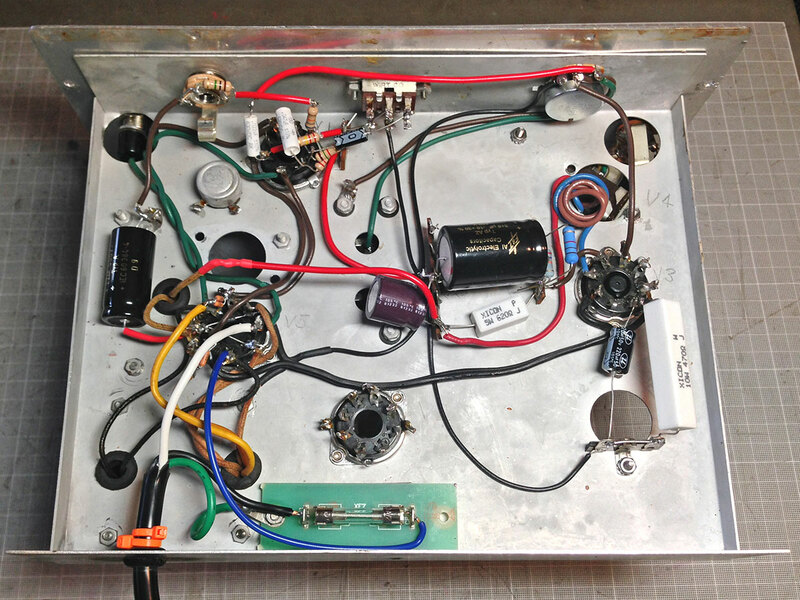 Includes vintage, USA made 6SJ7 preamp tube and 6V6GT power tube. A new Classic Tone output transformer provides 4-ohm and 8-ohm output choices. List price: $600 $300 sale!